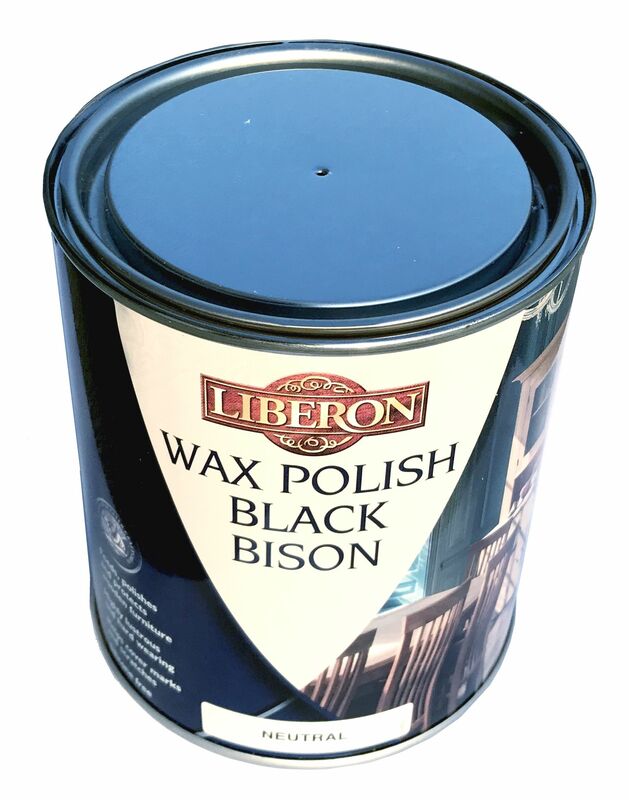 Liberon Black Bison Fine Paste Wax is ideal for protecting all types of wood, including lacquers and French polishes. Liberon’s Black Bison Paste Wax is also commonly used as a top coat for venetian plaster. Remove old waxes and dirt with Liberon Wax and Polish Remover if necessary. Apply wax over venetian plaster using either cloth or by blade. Buff to a gloss by either a cloth or drill buffer. Apply Black Bison Fine Paste Wax sparingly with a cloth on a delicate / French polished surface or with ultra fine steel wool (Liberon grade 0000) when a deeper penetration is required. Allow to dry for 20 minutes, or until touch dry, and then buff with a clean cotton cloth or furniture brush. Repeat the operation on new or very dry wood as it may require two or more coats. For a better finish buff with a Liberon Furniture Brush once the last coat has dried. Always test product on a spare surface or inconspicuous area for colour, compatibility and end result.